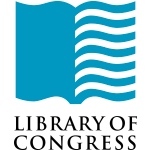 Library of Congress is now archiving every single tweet that has ever been tweeted since the inception of Twitter in 2006. This will be a huge project since there are billions and billions of tweets to archive. According to an article from the Baltimore Sun, in six hours, the NSA intercepts and stores as much information as you find in the whole of the Library of Congress. via ReadWriteWeb: NSA Gathers 4x the Amount of Info than the Library of Congress, Daily.